Side tables are modern and organic these days. Andrianna Shamaris says so and we agree. Perfect in every way, no longer rustic but rather modern, petrified wood is making a dramatic impact in the hands of Andrianna Shamaris. 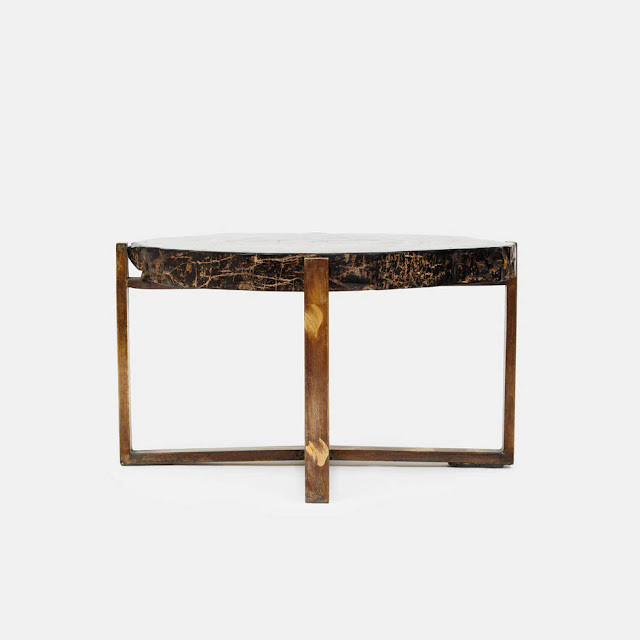 Sustained by a patinated bronze base, it becomes the ultimate decor accent that can be used either as a side table or a cocktail table.